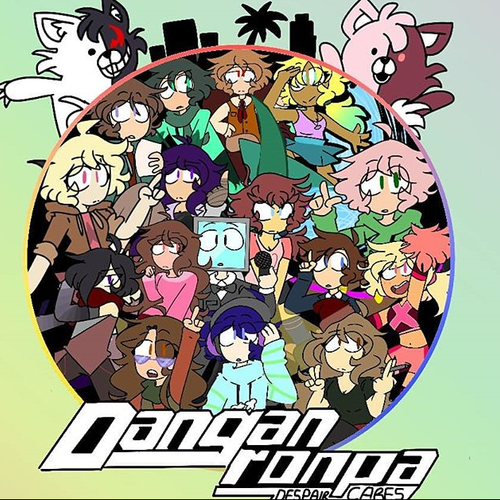 Welcome to this unofficial DanganRonpa spinoff! DanganRonpa: Despair Cares! This spinoff has no relation to the offical series created by Spike Chunsoft/Team Danganronpa whatsoever! If you are sensitive with offensive language, blood OR violence, this is not the good project for you since this project will be a visual novel/comic. DanganRonpa: Despair Cares is an unofficial spinoff where a failed applicant of Hope's Peak Academy named "Hiroki Kiseki" and 15 other failed applicants are trapped in an institute constructed created for failed applicants by two animatronics named "MonoNeko" and "MonoKiki". This project will be around 6 Chapters long + Additional special events that involves in every single participant such as "Free Time Events"
I expect my voice actors to get their speaking roles I assigned them as soon as possible, but that doesn't mean you can't do your part and I have to wait for a month or possibly even longer. I have headcannon voices made months ago, so please use those as a consideration for an example. I can send them through instagram or gmail. MonoNeko is the headmaster of Hope's Peak Institute of DanganRonpa: Despair Cares. 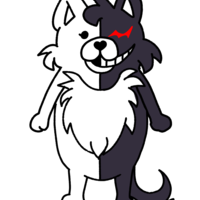 MonoNeko is a black and white animatronic cat who trapped the 16 failed applicants of Hope's Peak Academy into an institute build in Hope's Peak forcing the failed applicants into this vicious killing game. Is this cat being controlled by someone so cruel? Or are they an Alter Ego..? MonoKiki is the assistant headmaster of Hope's Peak Institute of DanganRonpa: Despair Cares. 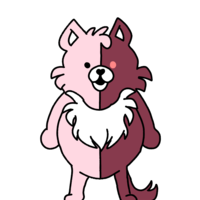 MonoKiki is a pink and red animatronic kitty who helped MonoNeko kidnapped the 16 failed applicants of Hope's Peak Academy into an institute build in Hope's Peak forcing the failed applicants into this vicious killing game. Is this kitty being controlled by someone so cruel? Or are they an Alter Ego..? Hiroki Kiseki is the main protagonist of DanganRonpa: Despair Cares. 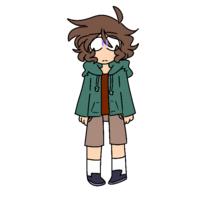 Hiroki is your daily, average teenager in your block. He's respectful, always curious with the people around him and himself. He is not confident with the Ultimate Title he received when accepting to Hope's Peak Academy. He can get a little shy around the students in Hope's Peak because he'd always compare them to him as someone who will never be like or above them. His family is super religious by going to church almost everyday, praying, performing religious rituals that follows their beliefs. By some odd miracle, he was chosen to be in Hope's Peak. Saike is a student who is entitled to be the Ultimate Scythe Wielder in Hope's Peak Academy, he has the passion to be the hero of the group. Secretly, he's a little jealous of Hiroki of being the "hero" of the group. But it doesn't mean he can't help. Saike is the type of person who is willing to help and won't hesitate to even use violence to solve the problem. His purpose to wielding a scythe was inspiration that cane from the world of fiction. He can be a geek when it comes to cartoons and games, which is basically another side of him if you ignore his capability to use a scythe. Takara Yuzuki is a participant of the killing game in DanganRonpa: Despair Cares. 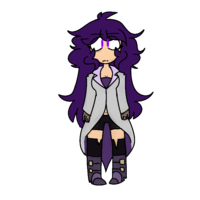 Takara is a student in Hope's Peak Academy chosen to be the Ultimate Psychologist. He's calm, persuasive. He studies many people from their behaviors, and mental state. He steps in into any situation he sees in front of him and simply stays calm. He'd do anything to see what is "extraordinary" a human being can do such as asking questions and making riddles. In deadly situations, he isn't afraid to step in and won't hesitate to pull a fight if he has to. 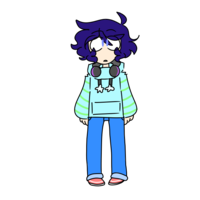 Akio is the Ultimate DJ, a kid with a colorful heart but always shy to show it. 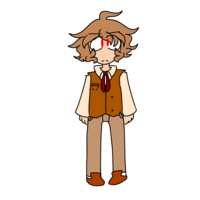 Akio "has two faces", he is the exact opposite to what you can see him. He is very colorful and confident if you're a close friend or someone who has a passion of a DJ. Akio would always stay up all night raving music and isn't afraid to show his hard work. He's passionate around others because he doesn't want anyone to see him weak and an easy target. Ren Ryou is a participant of the killing game in DanganRonpa: Despair Cares. Yuu Kenshin is a participant of the killing game in DanganRonpa: Despair Cares. 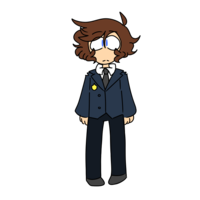 Yuu is a student in Hope's Peak Academy chosen to be the Ultimate T.V Host always ready to talk. He's talkative, yet somehow quiet. What's weird about him is his odd mask. He has no recognition of his mask and have no memory of his past, family, or even when he entered Hope's Peak. But he remembers his Ultimate talent and why he earned it. Little to know his identity or his memory, we may never know the person who he is. 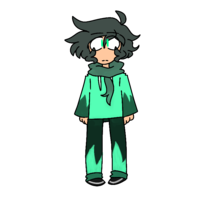 Takashi Shouta is a participant of the killing game in DanganRonpa: Despair Cares. Takashi is known to be the Ultimate Security Guard. His talent is the capability to protect someone or something from intruders or damage. 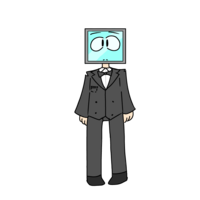 Strangely enough, his appearance is far different from looking like a typical security guard. He's confident and swore to protect everyone even if it meant for him to get himself hurt, yet he feels weak around MonoNeko and MonoKiki due to childhood memories of animatronics. Although he swore to protect everyone, he suspects everyone as much as MonoNeko and MonoKiki's suspicion. “Who’s there?! Where are you?! Kyou Katsuo is a participant of the killing game in DanganRonpa: Despair Cares. 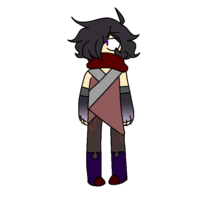 Kyou is selected to be the Ultimate Ninja that literally came from the shadows to become what he was raised to do. He is considered to be the silent one of the group, yet he can be very argumentative. He's strong, quiet and peaceful when you get sit alone with him in an empty room. Although he is a ninja, he does not wish to commit any harm to others. He'd do anything to protect those whose around him. Kyou is way behind "modern" jokes and technology that he wasn't familiar with. Kyou seems to get along with Saike due to the ability to wield a weapon. They both fight almost everyday in the gym to get better to know more about each other. Mineko Mine is a participant of the killing game in DanganRonpa: Despair Cares. Mineko is selected to join Hope's Peak Academy is the Ultimate Lucky Student. Unlike almost every lucky student, she didn't want to join Hope's Peak Academy. She is that insecure with holding that Ultimate Title than Hiroki's lack of confidence because she believes that luck is just an excuse of failure and success. 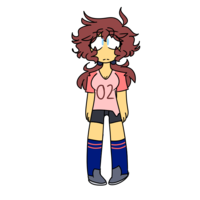 Mineko is one of the quiet one's in the group, she's tolerant and aware of everyone's actions. She prefers to go alone or a few people to investigate the Hope's Peak Institute. She seems to have a really good interaction with Hiroki as they seem to have many things in common and call themselves as the "Normal Normies". Tomoko Amaterasu is a participant of the killing game in DanganRonpa: Despair Cares. Tomoko is the Ultimate Paranormal Investigator. 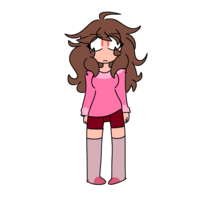 She study and practice paranormal activity whenever she feels or sees anything odd. Her attitude and tone around others makes everyone believe she's scared and incredibly awkward around everybody. 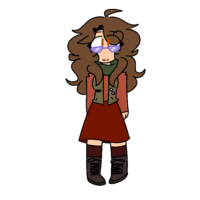 She's pessimistic and would always expect the worse to come. She seems to refuse talking about her family and her surname regardless how convincing you can be. 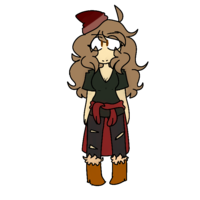 Although she is an expert in paranormal activity, she can get paranoid depending what her presence catches. Tomoko dislikes people when they say paranormal is fake and secretly likes Ghostbusters. 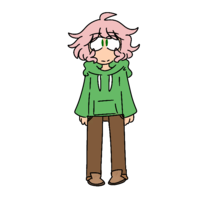 Koharu Kokoro is a participant of the killing game in DanganRonpa: Despair Cares. Koharu is known to be the Ultimate Surfer. The girl with the passion to travel to waves across the seven seas! She's passionate around others and always keep up with a smile no matter what! If you're feeling down, she would always lighten up the mood by talking about her adventures through surfing all across the world. She's bubbly and always ready to crack a smile or a pun. However, it is extremely rare to see her cry or mad. She believes that staying upset would take over you and consume you before you would even realize it. Keiko Kazoku is a participant of the killing game in DanganRonpa: Despair Cares. Keiko is gladly to be selected to be the Ultimate Broadway Musical Singer. The one and only Keiko ready to make her appearance and entertain the audience with loud music and colorful visuals. Her vocal cords is like if you heard a god, she would always gets the praise and has appeared almost every Broadway musical throughout her entire childhood. She's loud, unintentional steals the attention of others and always someone to debate with for oh so long. She fears to embarrass others and herself. She can be geeky when it comes talking about musicals such as "Hamilton" , "Heathers", etc. Keiko is full of a variety of emotions and aren't afraid to show them. Maiko Fukada is a participant of the killing game in DanganRonpa: Despair Cares. Maiko is the Ultimate Cheerleader, always ready cheer and root for you until the very end! Always full of energy and excitement. She's the one who loves to never give up and always get up on her feet right back when she feels bummed out. She would always do her best to bring everyone together and work together. Maiko is pretty social and sensitive to the people she interacts. Everyday is always a new day in her eyes and could never survive without any kind sociability. 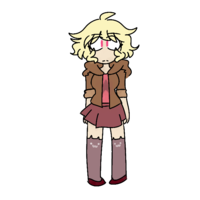 Naomi Kaoru is a participant of the killing game in DanganRonpa: Despair Cares. Naomi is chosen to be the Ultimate Volleyball Player. Known to be a part of a professional female volleyball team worldwide. Her iconic/number is "02". Naomi is hot-headed, strong and tries her best to be ahead of others. She will always tries to hide her girly side of her and never backs down in a physical fight whenever she's stuck in one. 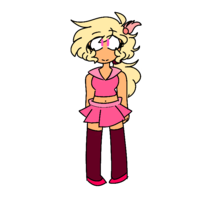 Naomi would rather become manly rather let anyone sees her all girly and pink. Due to always seeing teamwork as an important thing when achieving your goal, she would always try to make the cast work together to get put without getting anyone hurt. Aimi Atsuki is a participant of the killing game in DanganRonpa: Despair Cares. Aimi is chosen to be the Ultimate Actress. The girl with dreams, Aimi Atsuki made her way to the spotlight and played her roles, over hundreds of roles to play. From comedy to horror to romance, any genre is never a challenge. 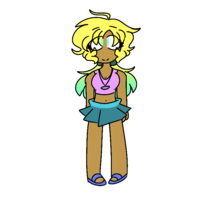 She is dramatic, loves to be in spotlight much like Keiko, they would always consider themselves to rivalry for the spotlight. Aimi loves to study people and their actions. It's said to be rumored that she's so good that she could even become the person she is acting as. You'll never when she is being serious or just playing an act. Mio Momoka is a participant of the killing game in DanganRonpa: Despair Cares. Mio is proud to be the Ultimate Storyboard Artist. Mio is very artisty when it comes cartoons. She has studied cartoons and many inspirational artists throughout her entire life to become what her life has in store for her. She's smart, tough and hard-working. She's quite patient when working through cartoon projects. Her passion is too show the world what she has worked through her time of her life and perhaps even inspire other people to get into cartoons. Mio has a secret crush on Ren due to a similar talent that can totally work with her talent. She expects Ren a lot, but she is independent enough without a manly figure to be by her side. I am looking for music composers for my spinoff and I would really appreciate it if Descares has it's own ost. I already have 1 in my cast. I'm looking for 2 other peeps for this job! I'm looking for 2 background artists for this spinoff.